PHUKET: Two men were rescued after holding onto fuel drums for four hours after their cargo boat loaded with construction materials sank in heavy seas off Phi Phi Island yesterday afternoon (August 20). Rescue teams from the Royal Thai Navy, Jao Fa rescue and Lanta Noi rescue were dispatched to the scene, seven nautical miles off Phi Phi Island, after Marine Police received a call at 3:30pm reporting that the cargo boat Phonboon PhiPhidon was in distress. 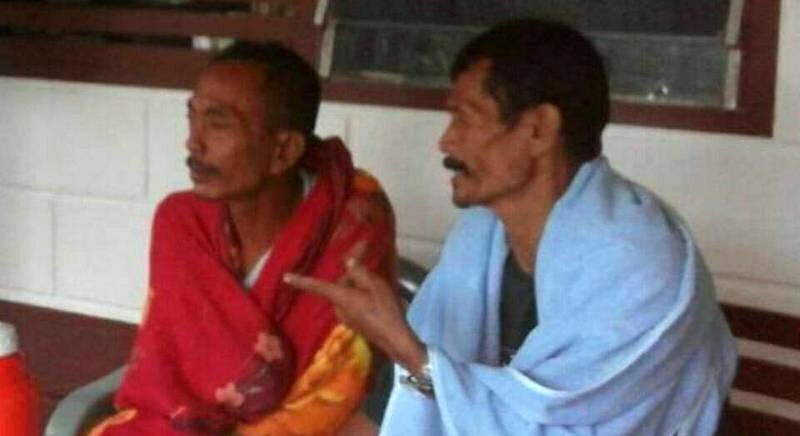 “While officers were looking for the men, we received a report from a squid-fishing boat that they had rescued two men from the sea,” said Marine Police Inspector Lt Anurak Parinyasathirakul. “Both men were taken to Koh Phai for first aid then to Phi Phi Hospital for treatment to prevent hypothermia.” Lt Anurak explained. Capt Anan Buobthong, 49, said that the sea was still calm with small waves when he crewman Somporn Jindakorn, 52, left Krabi. The cost of the boat lost to the sea and its cargo of 30 bags of cement, sand, concrete blocks and rocks, was estimated at about B700,000, said Lt Anurak.